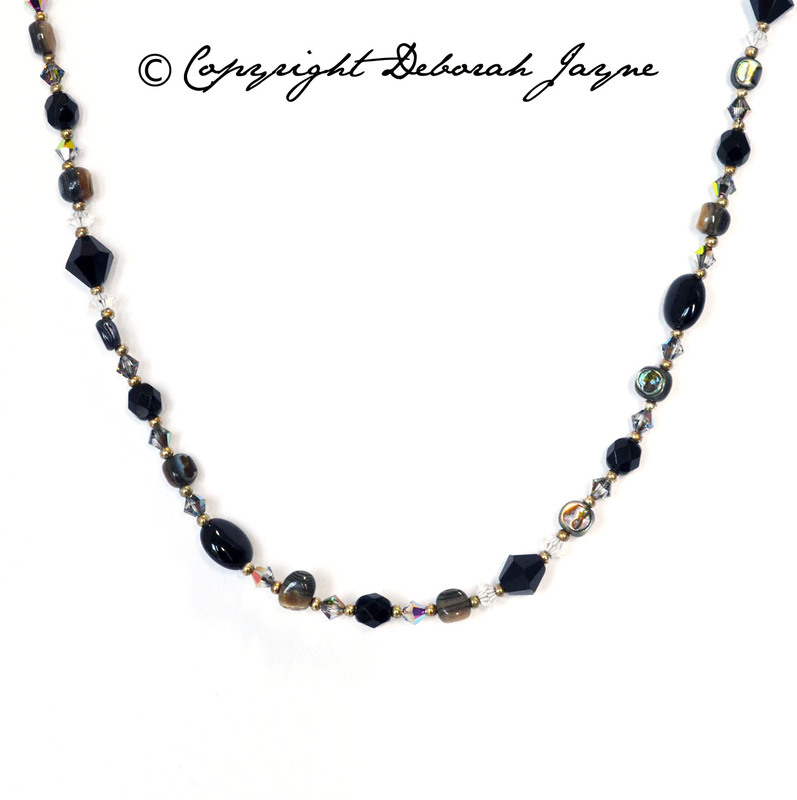 My The Great Gatzby necklace was inspired by the decadent book by American writer F. Scott Fitzgerald. In the book you are thrown into a world of elegance, youthful beauty, Deco fashion & luxury. 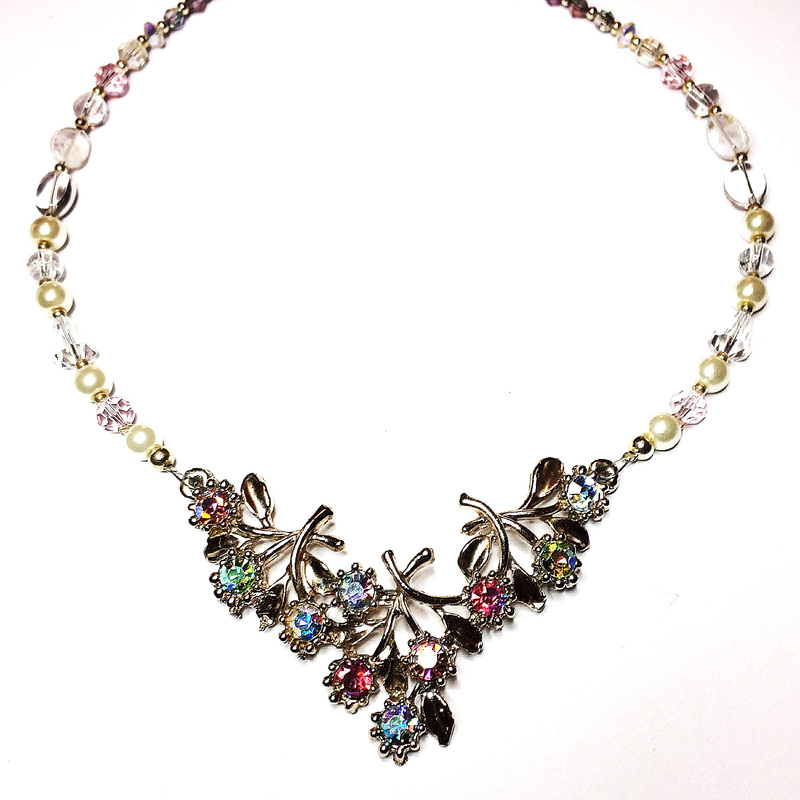 My chic necklace would be perfect for recreating the style of the book. 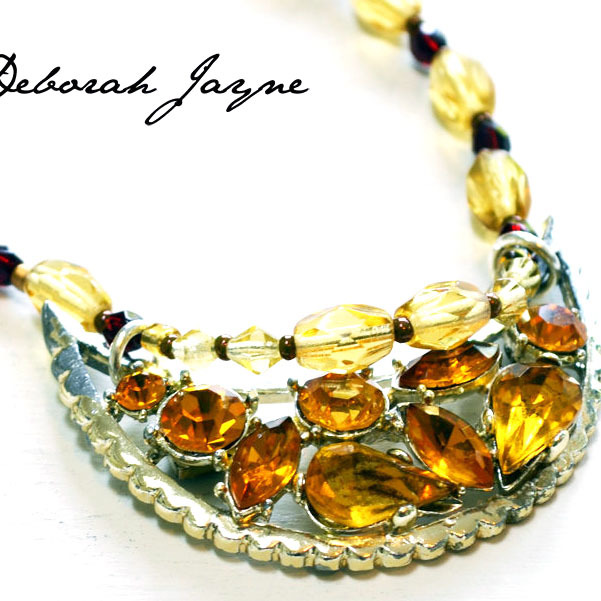 My The Great Gatzby necklace was inspired by F. Scott Fitzgerald’s famous novel. In the book you are thrown into a world of elegance, youthful beauty, Art Deco fashion and luxury. These were the qualities that inspired me to make my Great Gatzby necklace. Throughout I aimed to recreate the style. 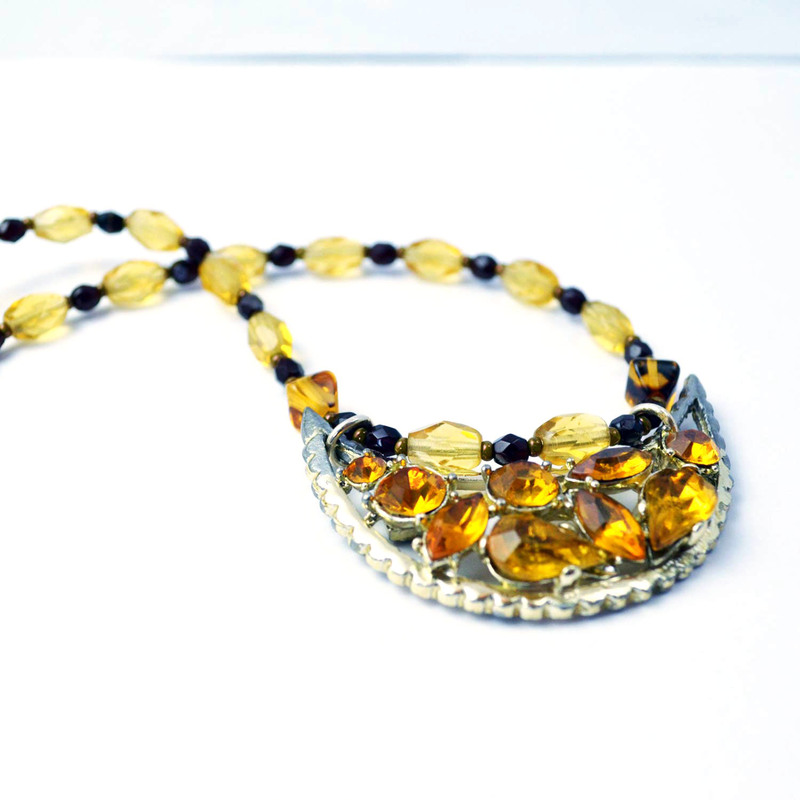 The Great Gatzby necklace recently featured in a companion exhibition to the Lichfield Literary Festival at Emporium Art Gallery – works inspired by great literature. 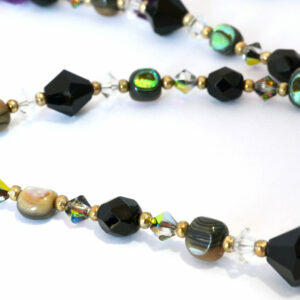 I am now very excited to offer my Great Gatzby necklace for sale after such positive feedback from the general public. I have placed a vintage gold tone floral spray off-centre (re-crafted this from a vintage brooch – first half of the 20th Century). The asymmetrical feature is in typical 1920’s fashion. 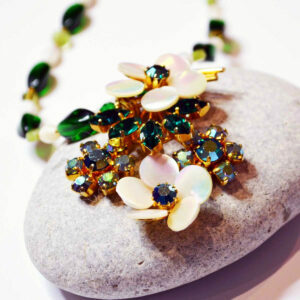 The floral arrangement is set with a variety of clear and pale green paste stones (rhinestones – all original). 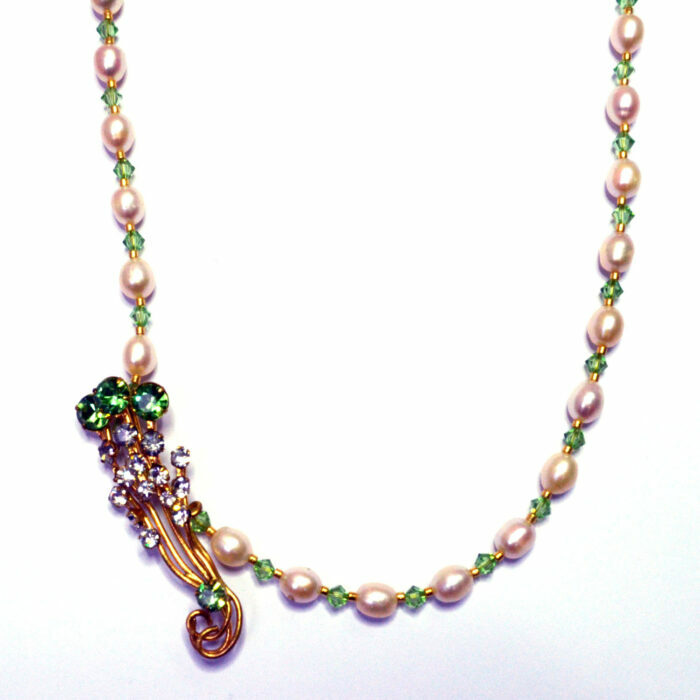 It now hangs from a string of fresh water pearls. 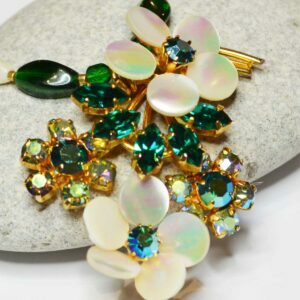 These are separated with new green Swarovski crystals and small gold tone seed beads. I have fitted the necklace with a new gold plated and nickel free lobster clasp, complete with an extension chain so you can adjust the length to suit your tastes.